When it comes to cybersecurity, one piece of solace that large organisations have traditionally been able to take is that it is very much an ‘us-v-them' situation where ‘they' are outnumbered. Organisations have a wealth of options that can improve their cybersecurity profiles whereas ‘they' have the world against them, forced to live in the darkness in places that Uncle Sam - or any other government entity - can't find them. But now we have a new threat rising through the ranks of organisations' most-feared lists, with the increase of state-sponsored cyber-attacks. China and Russia, of course, have often led these discussions with a vast increase in attacks coming from these regions. However, one nation that also needs to be critically assessed in terms of its proficiency in state-sponsored attacks is Iran, as the country has seemingly been gearing up for all-out cyber warfare with both private organisations and government institutions. 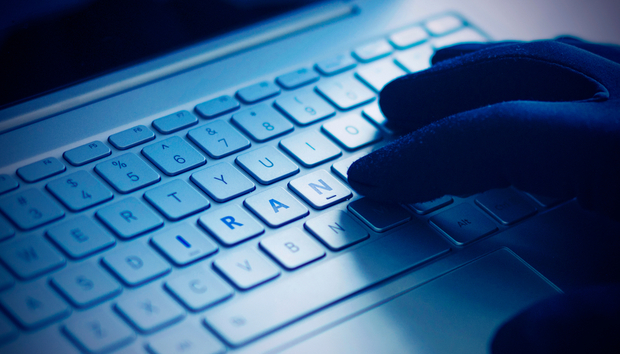 Iran has a well-documented history of state-sponsored offensive cyber operations, even if they don't always directly affiliate themselves with the adversaries who carry out the attacks. As Newsweek has reported, the Iranian government is one of the leading cyberspace adversaries of the United States, regularly responding to US-orchestrated sanctions or the actions of private US companies with cyber-attacks. An Israeli think tank has even described Iran as having the fourth biggest ‘cyber army' in the world, building up its expertise in the area since at least 2010, when the Stuxnet worm damaged the country's nuclear arms program. Since this time, the Iranian government has been alleged to have been involved in a slew of cyber-attacks, including those targeting American Financial Institutions, the Las Vegas Sands casino company, and various other entities in neighbouring countries such as Israel, Saudi Arabia, and Iraq. However, Iran's cyber tactics are as effective as they are unique. As Insikt Group demonstrates, Iran takes a definitive approach of taking on third-party ‘proxy' hacking groups as contractors to orchestrate attacks. This method gives Iran a degree of deniability while being able to access the very best black hat hackers the country has to offer. As reported by the Business Insider, this means that hackers in Iran have relatively relaxed lives, as they are given more freedom to attack foreign targets, with much of their work celebrated rather than stopped. Patrick Martlew is a technology enthusiast and editorial guru that works the digital enterprise beat in London. After making his tech writing debut in Sydney, he has now made his way to the UK where he works to cover the very latest trends and provide top-grade expert analysis.